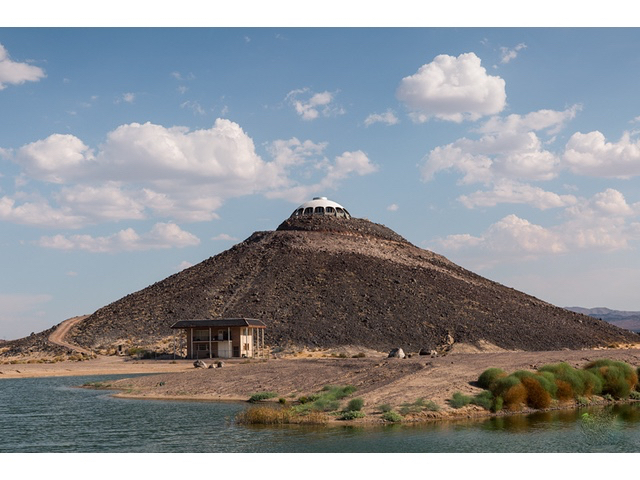 The Volcano House, a saucer shaped mid-century icon perched on top of a 150-foot cinder cone, offers rare architectural elements paired with unique 360 degree views. 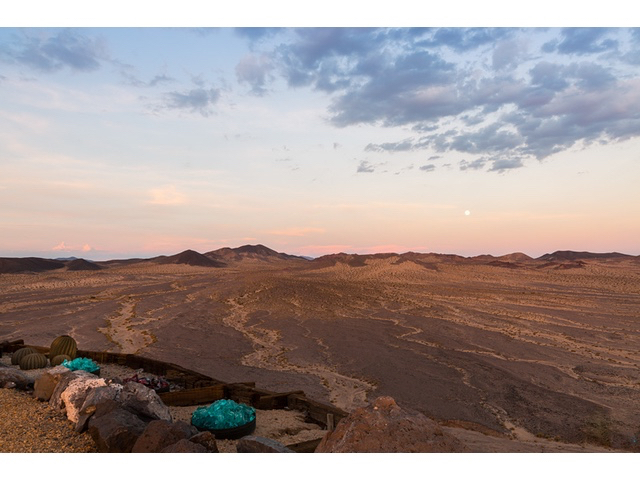 Once owned by Huell Howser, the late producer and host of the TV show California's Gold, the Volcano House sits proudly on 60 Mojave Desert acres approximately 45 minutes east of Barstow. 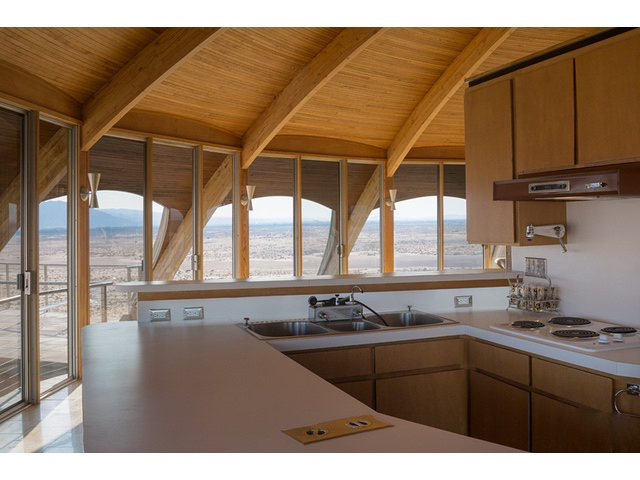 This carefully renovated architectural two bedroom, two bathroom masterpiece offers multiple viewing and observation decks allowing you to soak in the beauty of the area, including surrounding mountains and the on-site lake. The high curved ceilings, open floor plan, and the multiple sliding glass doors that provide access to the viewing deck that wraps around the house, all work together to help you experience this unparalleled property. At the base of the Volcano House is a detached two-story structure that contains an oversized garage as well as an upstairs apartment that could be the ideal caretaker's residence.